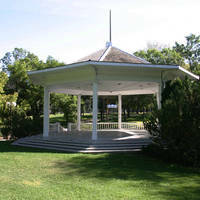 The Wascana Park Bandstand is located in Wascana Centre on the north shore of Wascana Lake between Albert Street and Wascana Drive. 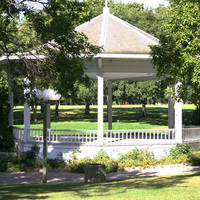 It is an historic, open air, Victorian-style gazebo that overlooks Wascana Lake and the Saskatchewan Legislative Building. 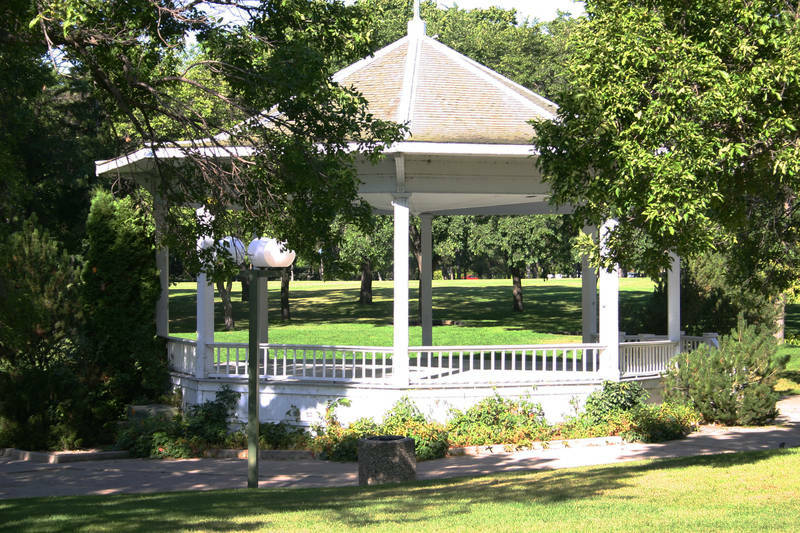 Historic in its own merits, this structure was originally located in downtown Regina in Victoria Park. 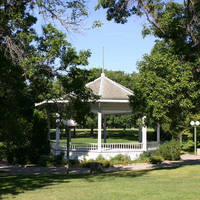 The bandstand is an elevated platform or stand on which bands, groups and other entertainers can perform. 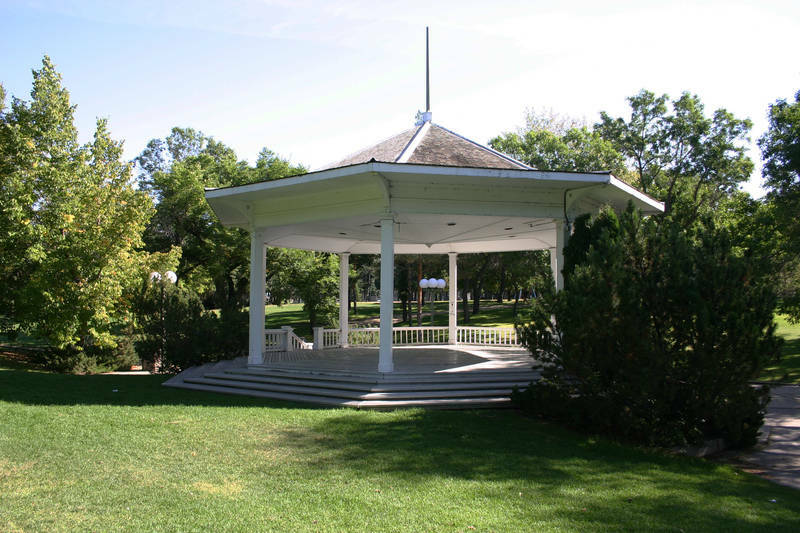 Other possible uses of this structure include photography, weddings, and to act as a central "hub" at those times when larger public events take place in the north shore area. 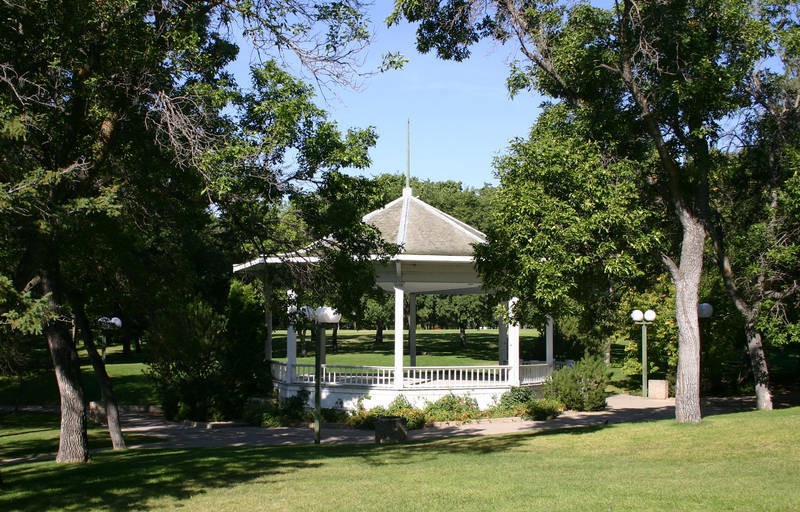 It is situated in the pastoral landscape of large trees and lawn relatively close to a children's play area, a major lake promenade, and the Royal Saskatchewan Museum.